How to implement an effective termination initiative with automation. Now, you can combine proven best practices, training, and technologies to create a terminations program that reduces the legal risk of letting an employee go. Download the Termination Solution Brief now. Now is the time to create a best practice termination initiative. An effective termination initiative educates, reinforces, and demonstrates your company’s commitment to maintaining a productive workplace. In doing so, it lowers your legal liability resulting from wrongful terminations. This brief gives you the blueprint to follow to develop a best practice termination initiative. 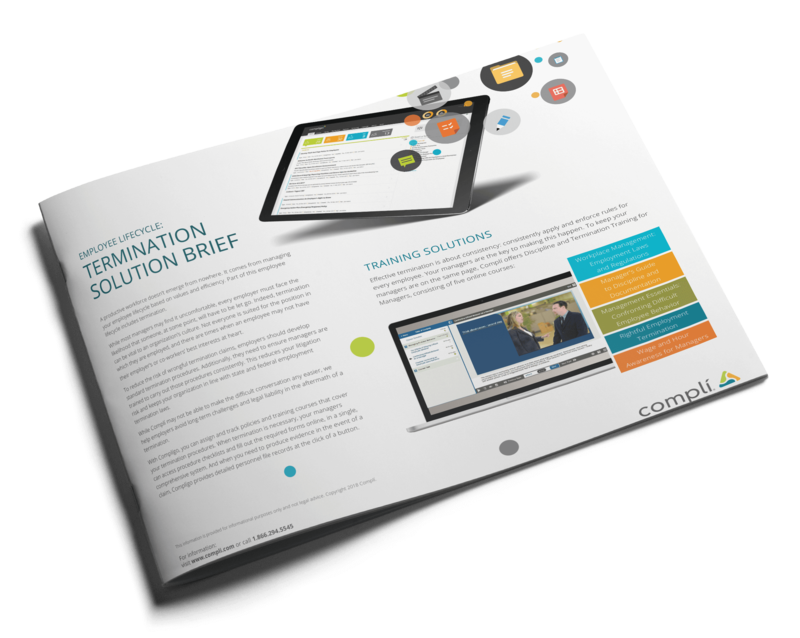 Download the Compli Termination Solution Brief today.